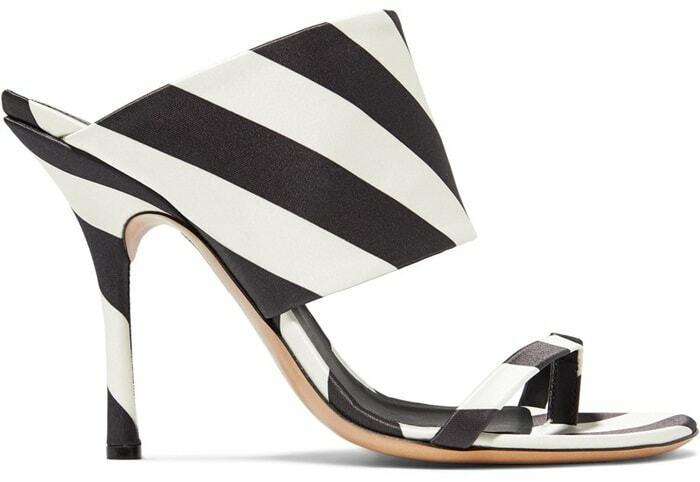 He delivers a fail-safe silhouette in block-heeled and stiletto-heeled sandals with a high-impact diagonal stripe fabrication. 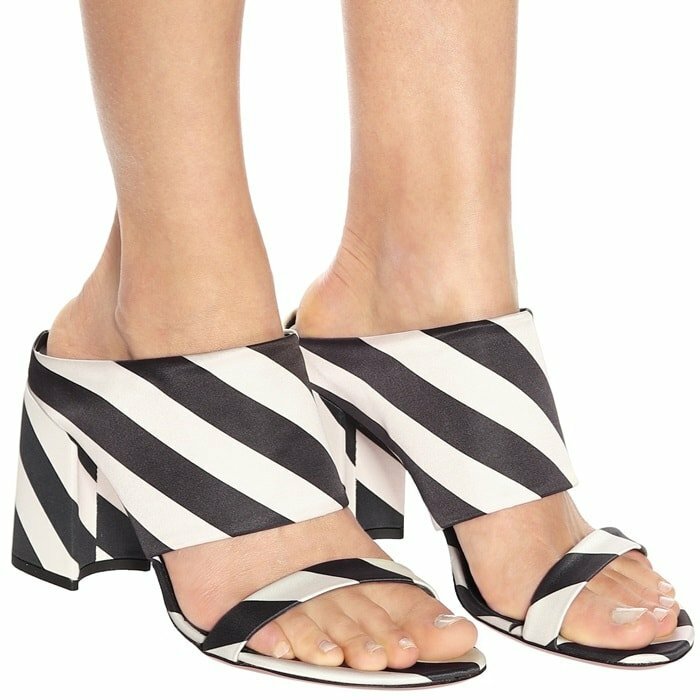 Made in Italy from lustrous monochrome satin, the high heeled version of these checked sandals feature toe rings that will keep your foot secure. 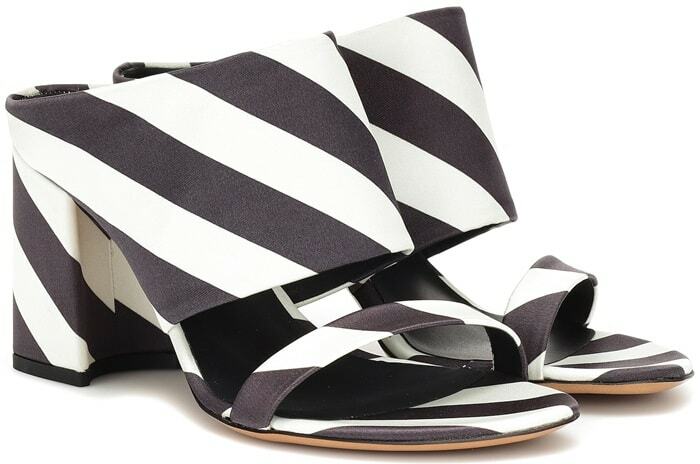 Are you ready to add an unexpected twist to your spring wardrobe with these artful sandals? 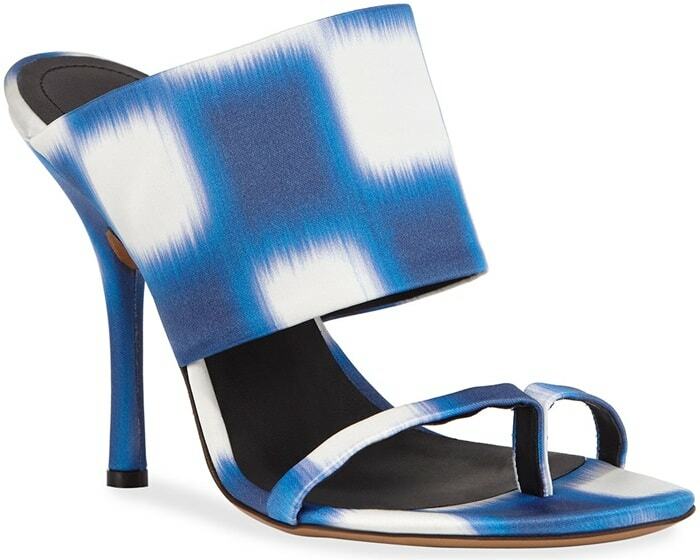 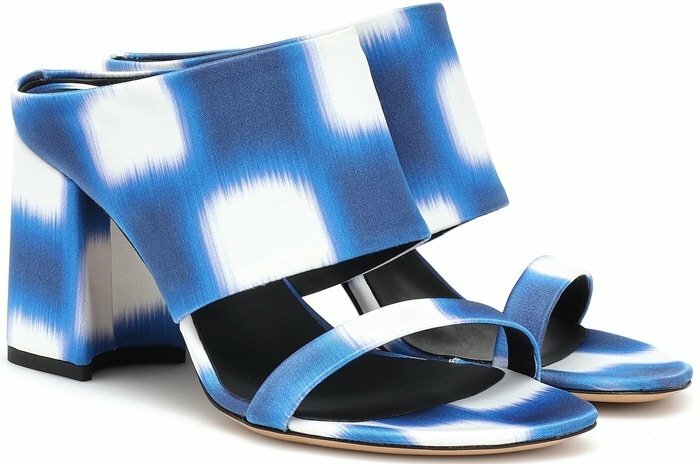 A graphic blue and white motif is expertly displayed across the artful Italian-made design, which compromises of a block heel and two front straps in varying degrees of width. 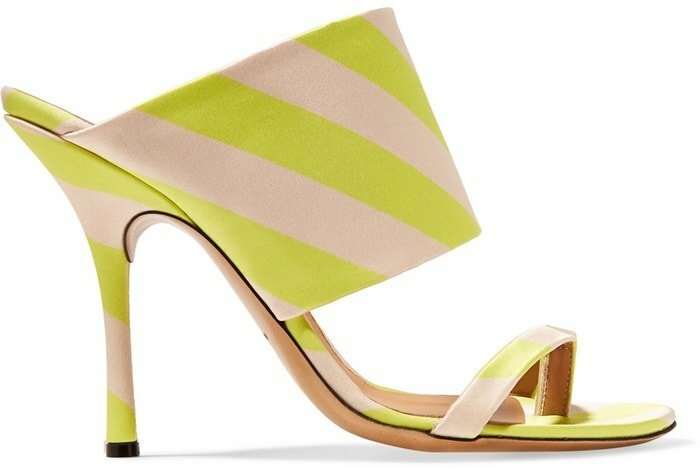 Made from silky satin-twill, they’re patterned with neon-yellow stripes that dart across the thick strap and toe loops (a major shoe trend for the season).